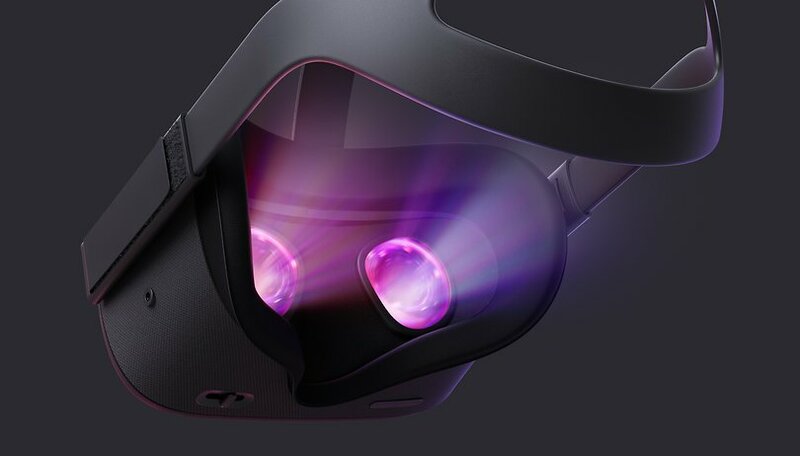 The Oculus Quest will be a standalone VR headset with six degrees of freedom (6DOF) and positional tracking. It is expected to cost $400 and will launch in spring 2019. However, the graphics performance will not be a huge improvement over the inexpensive Oculus Go. Facebook's VR subsidiary, Oculus, will release its first, standalone gaming VR headset next spring. While the graphics performance will hardly change compared to the cheaper Oculus Go - the Snapdragon 821 will be replaced by a Snapdragon 835 - the new headset is supposed to offer much more playability. Unlike the more minimalist, $200 Oculus Go headset, the Oculus Quest will allow significantly more immersion thanks to positional tracking and 6DOF. Now, every movement you make in space is registered and transferred to the virtual game. External sensors, such as those seen on the HTC Vive, are not necessary. Oculus Quest will launch with 50 titles, including rift games such as Robo Recall, The Climb, and Moss. A VR game series set in the Star Wars world will make its debut exclusively on Oculus headsets, including the Quest, at launch in spring. The controllers come with the usual thumbsticks and triggers. The two displays each have a resolution of 1,600 x 1,440 pixels per eye. The headset also has its own internal memory of 64 GB. Audio is also integrated in the Oculus Quest. In the announcement, Oculus promises considerably more bass than in the Rift. The Oculus Quest is apparently based on the platform that Qualcomm showed in the spring of 2017, and which we were able to try out in San Diego, among other places. There may be several reasons why Oculus is only now starting to market this product. Maybe Qualcomm's platform wasn't mature enough until now, or maybe the company wanted to wait and see how the games would be ported. It could also be taking competitor's release plans into account. Either way, we won't receive the Oculus Quest in time for Christmas 2018, we will have to wait until next year. Whether the price of the Oculus Go will fall after the announcement of the Quest, only time will tell. It is possible that the 32 GB variant, in particular, could see a price drop. What do you think of the Oculus Quest? Is it what the market has been lacking so far? Its all about virtual reality which does not make any sense but while playing games we stuck in it like a hero and all the people depend upon us, it make us great that we are saving world or so on while playing with digital gadget.